Hi! I have to say that as much I like KDE and Plasma desktop, I have a major problem. As you can see, Plasma eat a lot of my CPU and stuck sometimes completely, so I need restart it with Konsole. What I can do to eliminate that CPU hog? 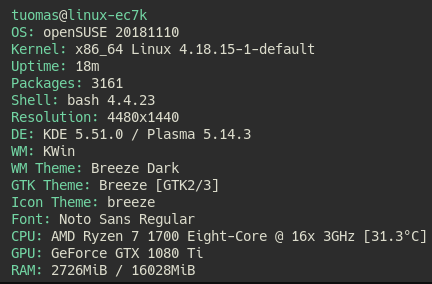 Hi, I did not see that using top under KDE Neon and using htop I have noticed that plasmashell is not eating my CPU resources.